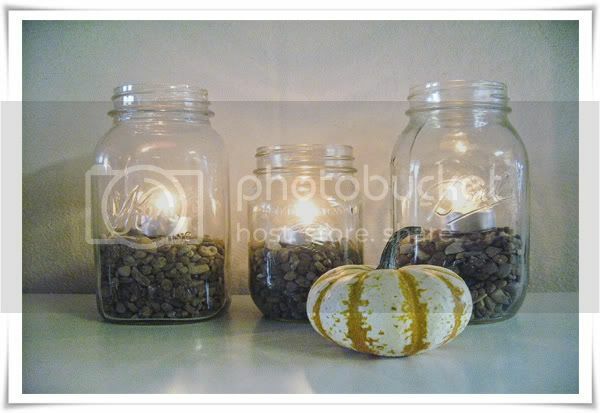 Another mason jar decor idea. 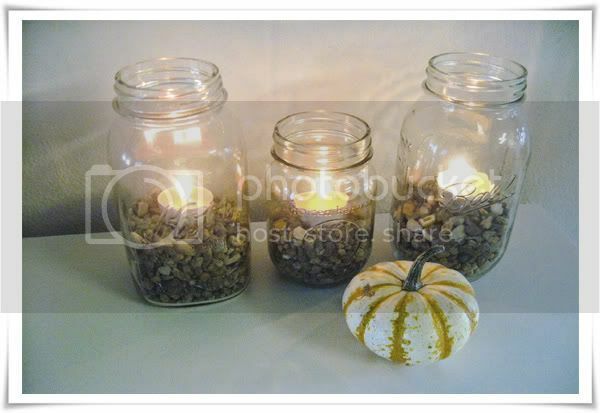 :) All you need are rocks, tea light candles, old mason jars, and a pumpkin or two. 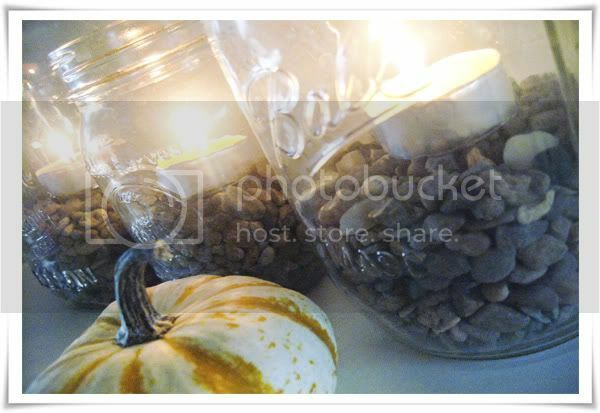 So simple, and would make such a cute center piece for thanksgiving. 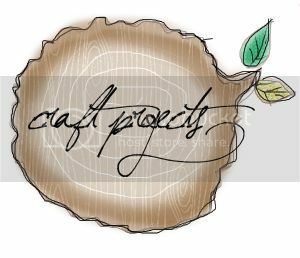 It would be even better if you could get your hands on some fall leaves and scatter them around the table as well.